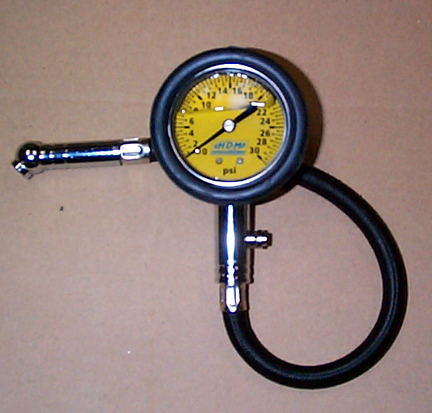 The new HDM tire pressure gauge is now available. 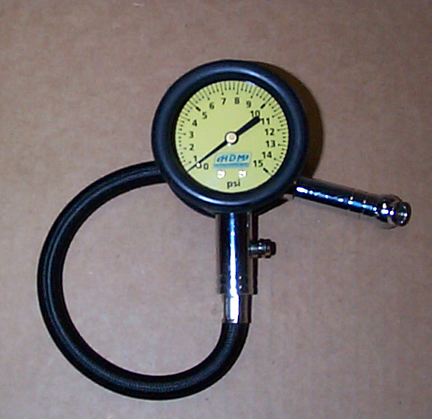 This gauge is available in various pressure ranges and all are equipped with a 12" flexible hose and angle chuck. 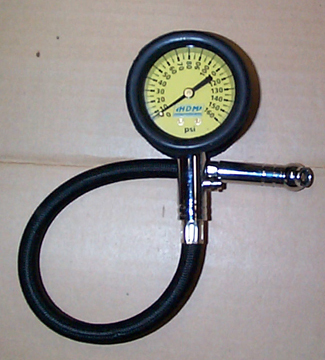 The 2" dial is protected by a shock absorbing rubber boot. 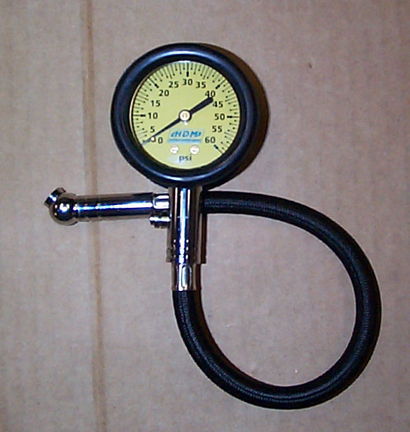 The integrated bleeder valve is perfect for precise air pressure adjustments. Do not exceed maximum air pressure stated on dial. Not for use on liquid filled tires.